You probably already have seen it on the news, or on your Facebook/Twitter feed but here are some important facts you need to know about this MASSIVE SPILL! Between February 6 and February 23, over 143 million gallons of raw sewage was sent into the Tijuana River, in Tijuana, Baja California, Mexico. 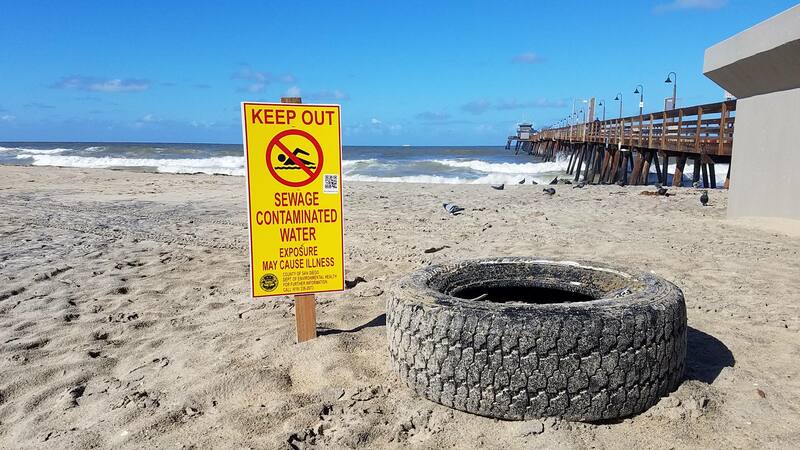 This sewage reached the Pacific Ocean heavily polluting beaches from Rosarito, Baja California to Coronado, California and potentially further, impacting over 25 miles of coastline. The spill had nothing to do with the recent rainfall although the problem was made worse by the substantial flow in the river and south winds associated with the storm. Mexican authorities did not report the spill to the International Boundaries and Water Commission (IBWC) until February 23. Check for “Beach Closure” signs before you go into the water. A federal investigation into the spill. New plan for an upgraded sewage system in Tijuana as funding priority. Fixing water quality problems and not any further progress on ocean desalination in the region until this is achieved. Rapid communication between the IBWC and agencies in Mexico when any spills occur. 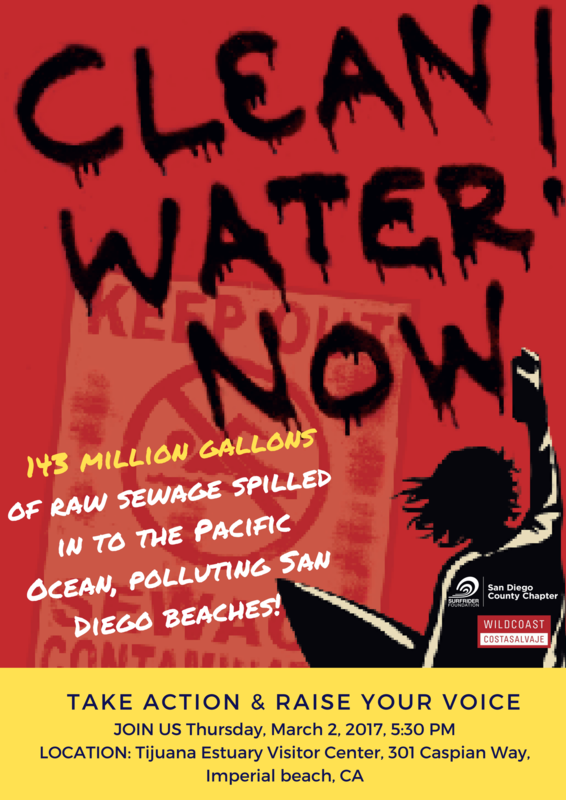 Join WILDCOAST and Surfrider San Diego Chapter, TODAY at the International Boundary and Water Commission (IBWC) meeting and demand action against Tijuana’s sewage spill. Location: Tijuana Estuary Visitor Center, 301 Caspian Way, Imperial Beach, CA 91932. Community members will be encouraged to write letters to their state representatives, Senator Kamala Harris, Senator Dianne Feinstein and Congressman Juan Vargas. See you tonight to TAKE ACTION FOR CLEAN BEACHES! « Oil Spill Response Plan for Wildlife in Oaxaca.